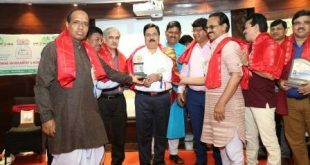 Bhubaneswar: Innovative entrepreneurship shall greatly impact newer initiatives like ‘Skill India’, ‘Start-up India’ and Make in India initiatives, said Nalco CMD Tapan Kumar Chand on Sunday. 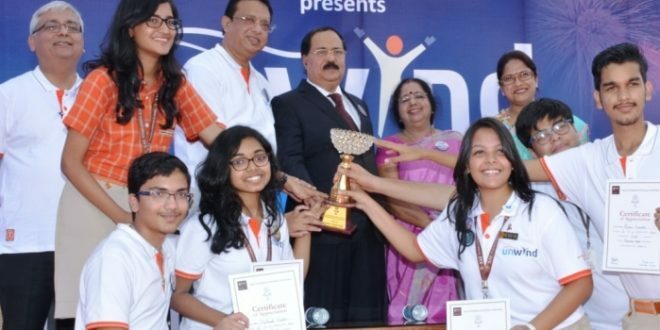 “In this context, developing entrepreneurial skills among the young, starting from the school level, will create a conducive environment for future entrepreneurs and shall be pivotal in providing employment”, said Chand while inaugurating the annual fete ‘Unwind’ of Sai International School here. Addressing the students and the faculty on the occasion, Chand said that Bhubaneswar is gradually emerging as an educational and knowledge-hub and Nalco as a leading corporate house of the State is equally concerned to promote the entrepreneur skills among the youth at par with global standards. 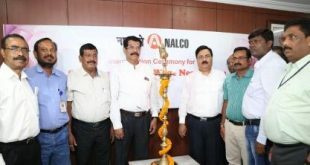 “To encourage budding entrepreneurs, Nalco as part of its Industry – Institution Interaction initiative will organize stimulating business exercises in selected schools, where students will be given opportunities to participate, learn and solve business situations. 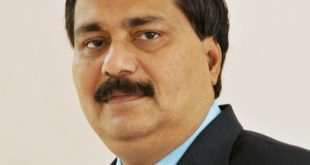 Such exercise would give confidence to the younger generations to come up with new ideas and encourage them to be entrepreneurs” informed the Nalco CMD. Dr. Chand, accompanied by Preeti Roy, President, Nalco Mahila Samiti, Bijoy Kumar Sahoo, Chairman of the school, Silpi Sahoo, Trustee, and Harish Sanduja, Principal of Sai International School, went around various stalls in the fete and also handed over the prizes to the winners of different competitions.